The Force is a Push Type Magnet with Maximum Pickup Power in a No Frills Design. The Force is for those users who really care about pick up power and just getting the job done. It doesn’t have all the extra features just the basics, but it’s sturdy, rugged and gets the job done. It doesn’t have the quick debris release lever, but you can wipe the debris off by turning it on its side and wiping the debris off with your hand from one end to the other. It has three wheel height settings, steel ball bearing wheels, and a welded construction design. Maximum lifting height – 6 ¼” (using a two and a half inch nail). “Wrap Around” feature holds onto nails and debris even if grass tries to wipe it off. Two powerful layers of permanently charged magnets generate super strong magnetic pull. 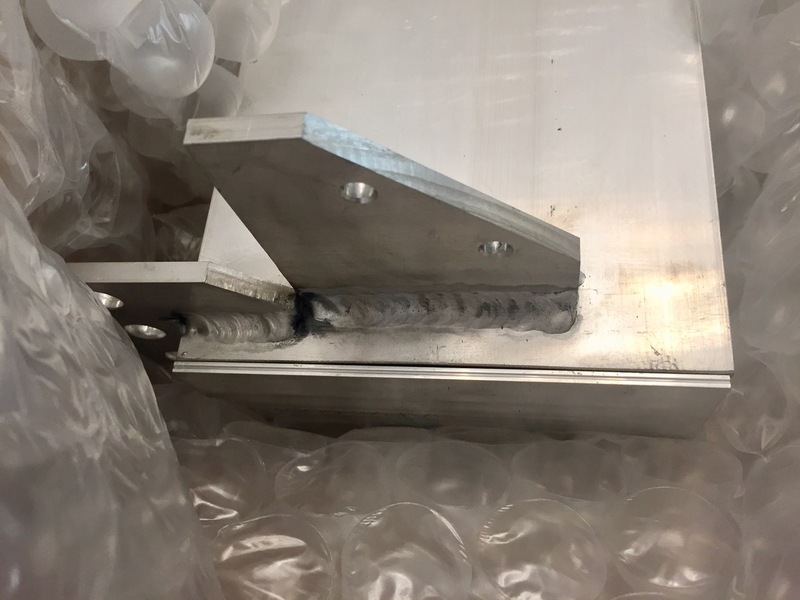 "In the past, we have experienced many untimely and costly problems with puncturing tires in the forklifts on the shop floor. Since the arrival of the sweeper, we have seen a lot less screws and nails on the ground. Using the sweeper is extremely quick and easy, and therefore the employees tend to use it quite often. After a job run change over the employees like to use it to clean up because they don’t have to bend over and pick up the scrap off the floor. This in turn improves the over all appearance of the shop to the various visitors that walk through every day." A Push Magnet that just gets the job done without all the extras. Rugged three piece “Y” handle design for sturdiness and durability – provides good rigidity and a solid feel. Welded design for extra durability and long life. "It’s strong enough to pick up all the nails yet compact enough to fit in and around most places and obstructions. I also like the strength in the handle. This product saves me time and money, and that’s what it is all about. Thanks." 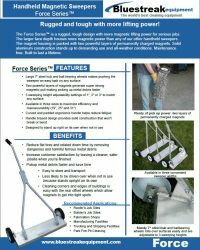 Adjust the sweeping height for ground clearance in 1″, 2″ and 3″ increments. Height adjustment allows fine tuning of performance on a variety of terrains and conditions for optimum performance. Large 7″ steel hub and ball bearing wheels makes pushing the sweeper across rough terrain easy. Available in three sweeping width sizes, 19″ 25″ and 31″, to maximize efficiency and manoeuverability. Easy to store and transport to and from job sites. Stands up right on its own when not in use reducing the possibility of being driven over when not in use. Easily manoeuvers into tight spots and around building edges with rear offset wheels that allow magnets to get into corners. Rugged Durability. Welded design for extra durability and long life. Available in three sizes to maximize efficiency and manoeuverability. Two powerful layers of magnets generate super strong magnetic pull. Large 7″ steel hub and ball bearing wheels makes pushing the sweeper easy across rough terrain. Wrap around design prevents debris from being brushed off by grass once picked up. Thank you for the new Force 19! I received the shipment today. 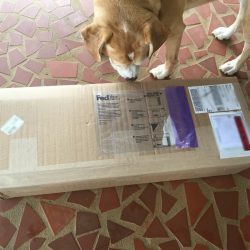 The box arrived in great shape (puppy approved). The whole package was what I was hoping for. Have a great weekend! I’ll be very happily picking up nails! Great addition to our fabrication shop. The Bluestreak magnetic floor sweeper is a great addition to our fabrication shop. In the past, we have experienced many untimely and costly problems with puncturing tires in the forklifts on the shop floor. Since the arrival of the sweeper, we have seen a lot less screws and nails on the ground. Using the sweeper is extremely quick and easy, and therefore the employees tend to use it quite often. After a job run change over the employees like to use it to clean up because they don’t have to bend over and pick up the scrap off the floor. This in turn improves the over all appearance of the shop to the various visitors that walk through every day. 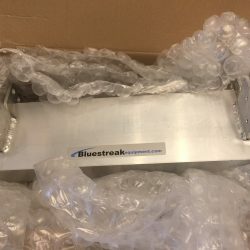 I strongly recommend the Bluestreak Magnetic Floor Sweeper to anyone that has issues with metal debris. With the sturdy construction of the sweeper, I can look forward to using the sweeper for many years to come. Thank you so much for the follow up. I am happy to tell you that my purchase as well as your service has superseded my expectations! The afternoon that the package arrived, which was a couple days sooner than expected, I put it together quite easily, but was unable to use it due to the weather. 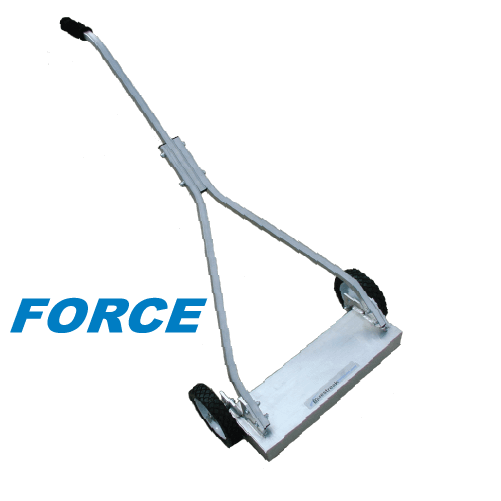 Now that I have had an opportunity to use the FORCE 25 magnetic sweeper, I have to say it is amazing. 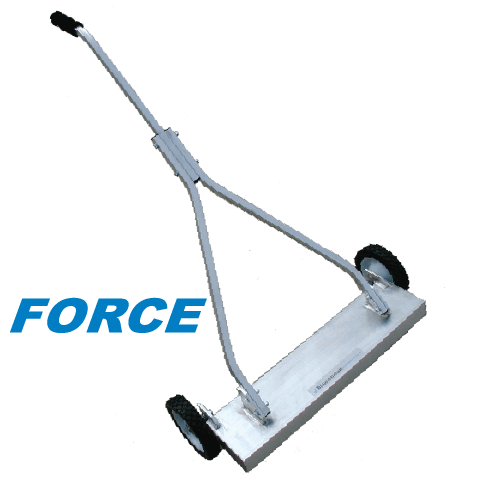 My husband and I are building our own house and I am always the one who has to clean up, so having the FORCE 25 to use to pick up all the screws, nails, washers, drill bits, etc. is just great. I’m sure we are going to get our money’s worth out of this purchase. And I have to say that the cost is very reasonable for the fantastic quality of materials. Thanks for a great product! I don’t mind at all if you used my comments as a testimonial. The FORCE 25 has made my clean-up chores much more enjoyable, I love the clink clink of all the metal tidbits being picked up! You have no idea how much I appreciate your product. Thank you for the best wishes with our house building, it is very kind of you. It’s so refreshing to have such personal customer service, fantastic! I got the sweeper last night and its assembled and works as intended! Thanks a lot! and nice product btw! Regarding my recent purchase of a Bluestreak Force25 magnet, all I can say is “thumbs up”. My first impression of your company came with the quick responses to my questions via email and with the content of your website. Timely shipping and fast delivery added to my confidence. I ordered the Force25 on a Friday and it arrived the following Thursday. The quality of the packaging and the magnet are outstanding. We recently had our house and barn re-roofed. The contractor has another brand of magnet and sweeps the yard after the job is done. My Force25 arrived a few days later. The packaging of the equipment for shipping is better than I had imagined. Setup was easy and I was ready to pick up nails in about 10 minutes. I picked up another 3 to 5 pounds of nails that had been missed. I am confident that I have eliminated the threat of many flat tires on my lawn mowers in the future. 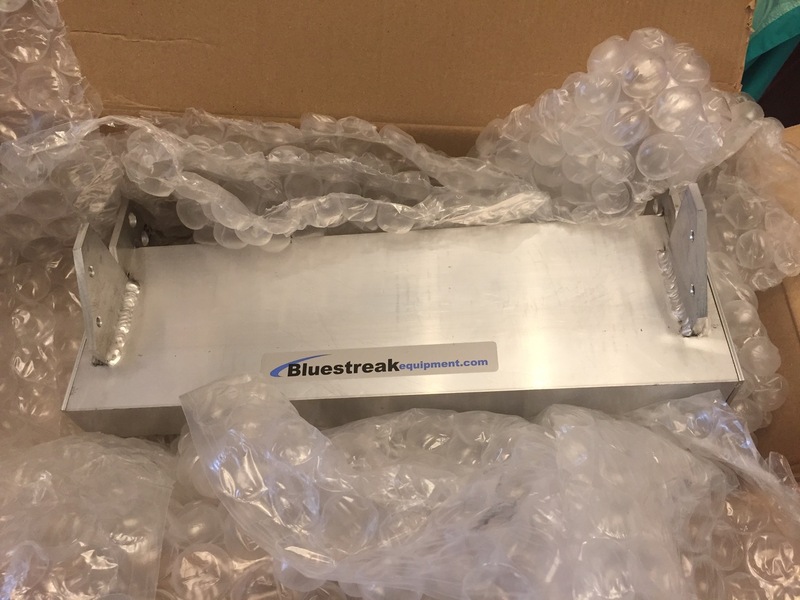 Thanks for the super Bluestreak product. P.S. I briefly thought about selling my sweeper to the roofer who did our house and barn. After all, I had completed the job I bought it for. But it is just too nice a tool to let go of. So even though I may only use it once or twice a year, it is worth holding on to. 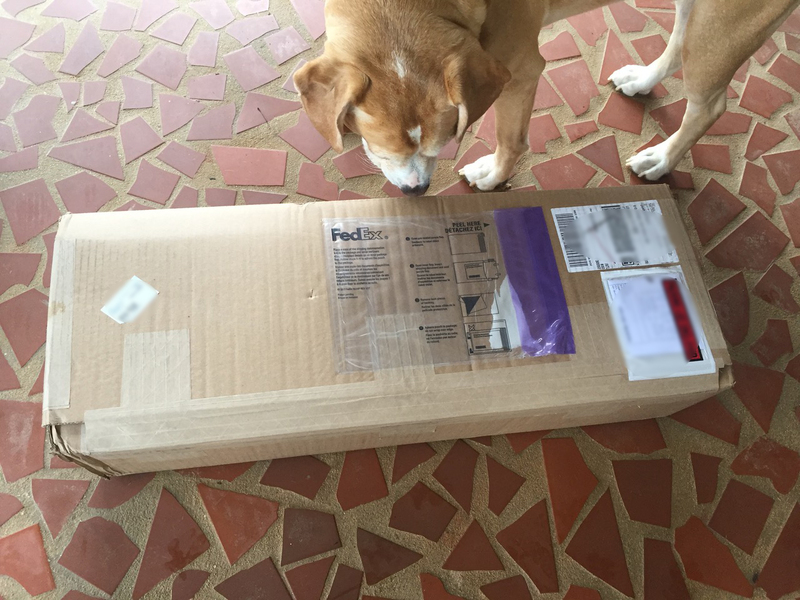 I picked up the package at UPS today and was impressed before I even opened it. Was surprised to see that it came in a custom made wooden crate nailed together, now that’s packaging! 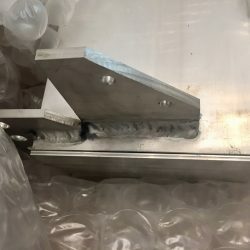 Then got it to my shop and opened the crate and was equally impressed at the quality of the unit and strength of the magnet. Bolted it together and it was ready to go, very nice! I was even going to call your company and tell them how impressed with buying a tool these days (we buy a lot of tools annually) that actually exceeded my expectations, this just doesn’t happen anymore in today’s economy. But the icing on the cake is when I got into the office and checked my emails the same evening, you had already sent me this email asking me if everything was OK with he new tool. Now this is customer service that I just don't see anymore. You’ve got a great company and far superior customer-service system to any building or tool supplier I have come across, ever. I put it together myself and I Love it! It is the coolest thing and I have already used it at the barn and picked up all kinds of rusty nails. It is great! I showed it to my horse trainer today and she loved it too. I received the magnet and it has been working perfectly! Thank you for a good product and prompt delivery! 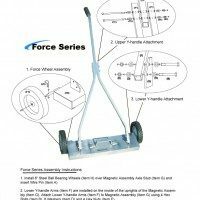 We are very pleased with the Force Series 31 magnetic sweeper. It cleaned campsites and fire pits to the point that we noticed a big decline in flat tires on vehicles and mowers. Many campers bring fire wood with nails still intacked i.e. old skids. We had every thing stuck to the magnet, beer caps, hinges, spikes, tent pegs. You have to see it to believe it. Thanks for all your efforts and good luck. I thought you might like a little feedback on the Force Series 19 I got. It works great. It’s strong enough to pick up all the nails yet compact enough t fit in and around most places and obstructions. I also like the strength in the handle. This product saves me time and money, and that’s what it is all about. Thanks.